A while ago we were facing some issues when running the Exchange 2013 Hybrid Configuration Wizard (HCW) for Exchange Online. As it is recommended to bypass proxy servers for most of the Office 365 services. This is absolutely necessary for Exchange Online in a hybrid scenario. ERROR: System.Management.Automation.RemoteException: Federation information could not be received from the external organization. Exchange was unable to communicate with the autodiscover endpoint for your Office 365 tenant. This is typically an outbound http access configuration issue. If you are using a proxy server for outbound communication, verify that Exchange is configured to use it via the “Get-ExchangeServer –InternetWebProxy” cmdlet. Use the “Set-ExchangeServer –InternetWebProxy” cmdlet to configure if needed. The client did have a proxy and reverse proxy within their infrastructure and as the solution and technical design required the traffic from the Hybrid Exchange server should have direct route to the Internet, so it bypasses any proxyserver. I was able to double-check this with the Network Administrator and all was configured correctly as written in the technical design. This error was thrown after running the Get-FederationInformation cmd-let and pointed the cause to a proxy server, or at least a proxy setting. After reading several TechNet articles we found out that the commands run by the HCW are run under the context of “Local System”. As such, these commands are subject to the proxy settings of the “Local System” user profile and not my administrator profile settings. The default value of “Automatically Detect Settings” in the Internet Options is always “Enabled” and is configured on per unique user. So this configuration also applies to “Local System”. This default setting, combined with the client’s PAC file, the HCW was directing “Local System” to use the proxy server. 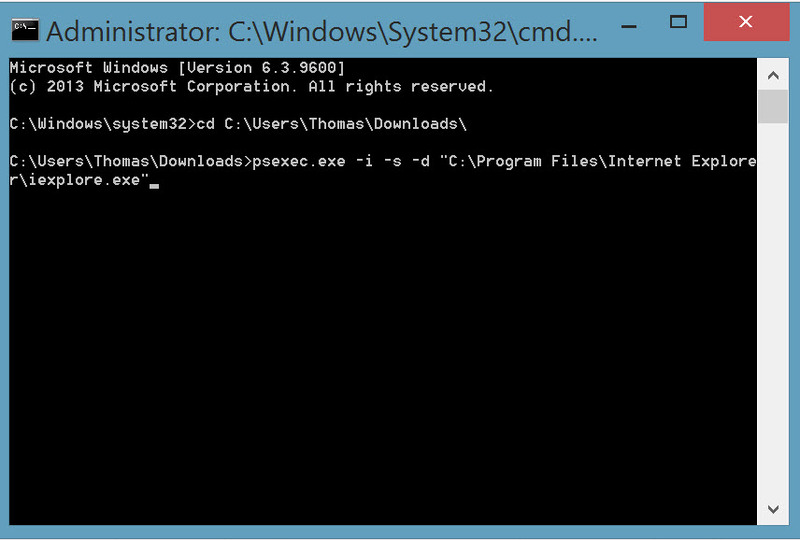 psexec.exe -i -s -d “C:\Program Files\Internet Explorer\iexplore.exe” in CMD with administrative priviliges. Today we faced an issue where a client needed to migrate their GroupWise distribution groups to Office 365. Since there is no easy way doing this we developed a PowerShell script to automate this proces. Well, actually it are two scripts. The scripts are divided in one, creating the distribution groups and part two is adding the members to the newly created groups. First we have to gather the input for creating the distribution groups in Office 365. For this I only used the required attributes for creating a distribution group. Once the distribution groups are created we can head on adding the members to them using the PowerShell script below. As we can see both the scripts import a .csv file containing the content. The .csv files and the PowerShell scripts can be downloaded below. Please note that the distribution groups can be either created on-premises in Active Directory and then synced to Windows Azure Active Directory (Office 365) or either directly created in Office 365 with the help of remote PowerShell. Based on your infrastructure and migration scenario it can differ which is the best way to go. Functionally there will be no difference for Exchange Online. However in some hybrid scenarios it can be best to create the distribution groups on-premises and sync them to Office 36 with the help of Azure Active Directory Sync (DirSync). When carrying out projects for Enterprise clients I commonly face challenges with companies not meeting the system requirements for Office 365. One of the most commonly seen missing requirements are on the Identity and Access Management part of Office 365. When migrating legacy Identity and Access Management infrastructures to Office 365 you quickly bump in to Microsoft’s Active Directory Services (ADS). To migrate this service to Windows Azure Active Directory – which is part of every Office 365 license – you can use the Windows Azure Active Directory Sync tool. Or as most IT Professionals know it “DirSync”, this is a special edition of FIM. Since most companies still use Global security groups these need to be converted. Therefore I use a PowerShell script which automates this proces. For this script to work, import the ActiveDirectory module in PowerShell or run the script with Active Directory Module for Windows PowerShell. As you can see the script contains several variables. With these you can define the scope of OU’s or name convention for existing security groups. When running the PowerShell script it builds up a CSV-file called Uni_ADSecGrp.csv. When paused you can open and check the file to see if it contains the groups which you wish to convert. If so, you can insert “Y” to the script and it proceeds running. After we have succesfully changed the GroupScopes to Universal we can carry on and use the second PowerShell script which mail-enables the security groups so they meet the requirements for Exchange Online. Besides the conversion to mail-enabled it also hides the groups from the Global Address List. Run this script on one of the legacy Exchange servers with the use of the Exchange Management Shell. Once you have succesfully executed the second script you can add these objects to your Windows Azure Directory Sync cycle. Please be aware that when you convert the groups, the groups may not contain unsupported characters such as namespaces or & characters.